Uncle Jack's Toys, Fun and Entertaining. Welcome . . . . To Uncle Jack's Delights Toy Collection Keep Checking Here we will be expaning our line of fun and entertaining TOYS! Uncle Jack's collection of hand crafted and collector's toys. No computer or video games here. These toys will be keepsakes over the years and will require the child to play with good old-fashion imagination. Please also visit Uncle Jack's Puzzle Page. 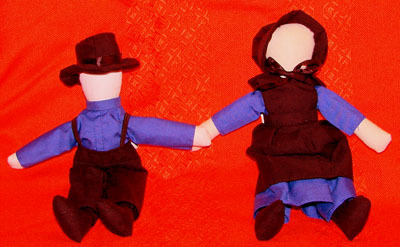 The Amish believe that there should be no graven image, as stated in the Bible. So they do not have any mirrors, do not want or like to have their picture taken and as you can see their dolls have no face. 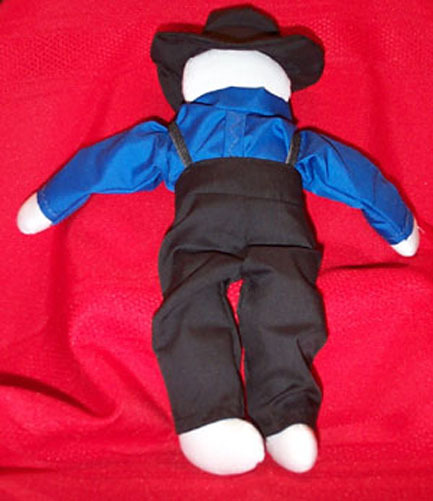 The doll is 8" tall and 7" Arm to Arm. 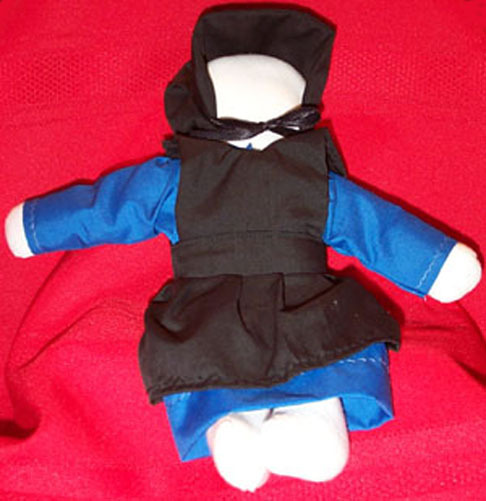 The bonnet, apron and dress are removable. The apron and dress is fastened in the back with Velcro. Made with all new material in China. A Must For Your Doll Collection !!! 1 Boy Doll and 1 Girl Doll as described above. The following items are all hand crafted and originated in the Eastern United States. Uncle Jack finds them unique, of high quality and entertaining. Amish Horse and Buggy: This is one of Uncle Jack's finds of true Amish crafts, crafted by Pennsylvania Dutch in the Lancaster, PA area. This Horse and Buggy miniature is made with Walnut. It is 6" long x 2-3/4" high x 2-1/4" wide. or gift to model railroaders. The wheels move and it has a beautiful finish. Uncle Jack's collection of his own hand crafted toys. More items will follow as he dusts off his old faith-full woodworking tools. Lots of fun here some of his original work and some replicas of toys gone by. Perfect gifts for big and little kids for all occasions and holidays. Yip Yip Stick: This magical Wind Mill type stick will answer to your commands, as you rub the notches with another stick. If you know the secret: Giddy-Up starts the rotor, Whoa stops the rotor and Nay changes the rotor direction. 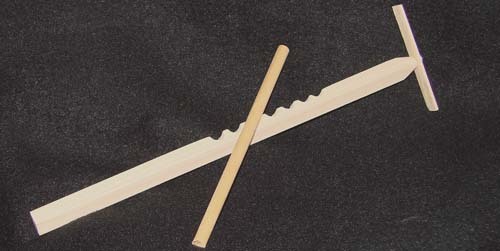 The Yip Yip Stick works on the Bernoulli Force Principle. Complete instructions come with the Yip Yip Stick. Marshmallow Gun (Sharp Shooter Design): This is the hot toy everyone's talking about. This safe fun gun shoots miniature marshmallows, a safe fun toy. Party Activity for any type of party, Birthdays, Weddings, Reunions, Youth Groups or just some good old fun at home. My design of this toy is for increased accuracy. 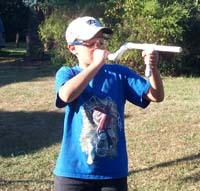 The Marshmallow Gun can shoot up to 50 feet and with my design 25 feet with increased accuracy. Make targets up with some of our current news worthy characters, draw a line and let the fun begin. Oh yes, if you get hungry you can snack on the ammo! 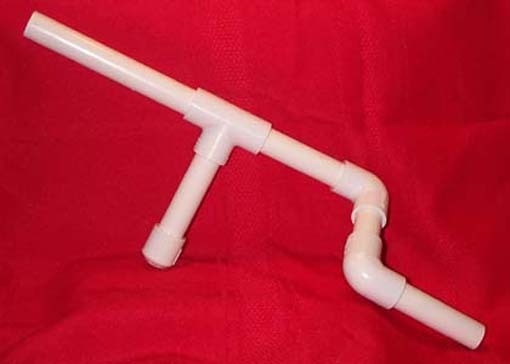 Marshmallow Gun (Sharp Shooter Design), is made from non toxic PVC drinking water pipe and comes apart for cleaning. Overall length is 16" and about 5" tall. I have opted not to paint the gun to keep it completely non toxic (paint does not adhere well to PVC). You may decorate the gun yourself using vinyl lettering or tape, this also could be an activity at a party. Instructions for use included with each gun. 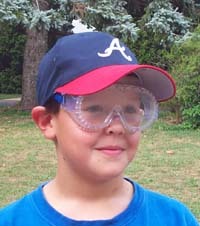 This toy is not recommended for children under four years old and safety glasses should be worn by all while engaging play with this and any projectile shooting gun. 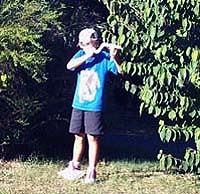 Instruction should be given to each child to take care not to inhale the Marshmallow when launching the projectile ! My design lets you site down the barrel for increased accuracy. You may also have Marshmallow Wars and ambush your friends ! 2-1/2" tall and contour around the side of the face. 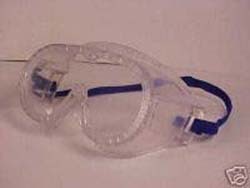 A Must for any play where a child's eyes could be in danger.